Since Employee Appreciation Day was on Friday March 3rd, we will discuss what employee advocacy is and how to not only appreciate your employees but as well as encouraging them to get a positive word out about your business through social media. 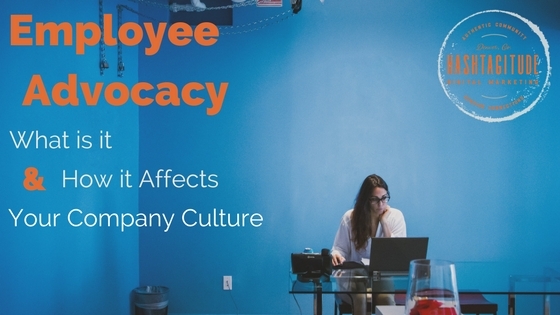 The term “Employee Advocacy” is used to describe the exposure that employees generate for the company that they work for (in a positive way) through multiple social media platforms. Employee advocacy is a fantastic element to have at your company because it means that you’re treating your employees the correct way: employee advocacy will give your team motivation to continue their good work, promotes a healthy environment for future employees, and builds loyalty and credibility to your business. Treating your employees well is a morally right thing to do as well as a great thing for your business to grow further. If you do not treat your employees appropriately, they become unmotivated and lazy, which will be reflected in their work and will affect your business negatively.There is good employee advocacy and there is also poor employee advocacy. Your company could potentially receive a poor review strictly because of how the employees were treated, which is why you want to avoid that in the beginning. With positive, empowered employees comes positive reviews and feedback for your company (which most companies do desire!). Where there is a cause, there is an effect and there is nothing worse than having a negative effect on your business. Having a positive atmosphere and environment to work in can bring great energy and motivated action to your office. When others know that your business is strong, positive, and community-oriented, they tend to gravitate towards the positive energy. Your employees are the foundation of your company, so don’t let them down.